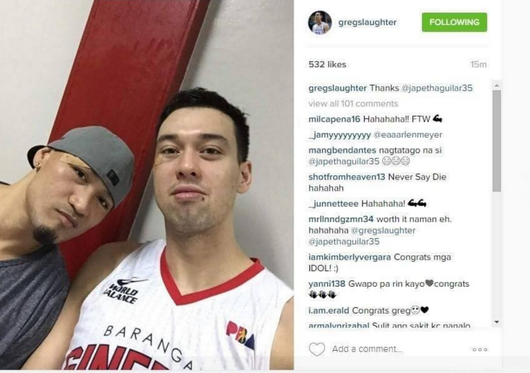 Mark Caguioa and Greg Slaughter took an inadvertent elbow from their very dynamic teammate Japeth Aguilar. 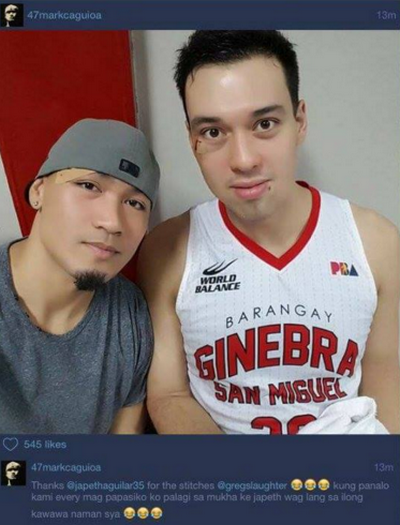 They both sustained a bloody cut near their right eye early in their game against Mahindra. But just like certified Never Say Die players, Mark and Greg went back into the action to help propel Ginebra to a dominant victory via 104-86. It was a game that they dominated right from tip-off. The two even thanked their teammate for the stitches for unknown reason. Maybe it fired them up to play more intense basketball.